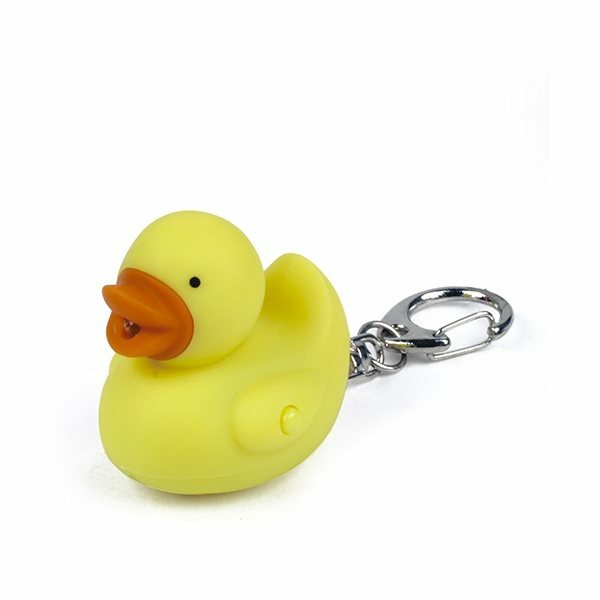 Duck keychain with blue LED light and quack sound. the selection of colors seemed to be great. We are very pleased with this little office gift! I most liked the price I was able to get. I don't think there is anything I dislike. the product was better than I expected for the price and the imprinted logo was also better thank expected. I thought the print would be a little larger but, it turned out good so can not complain. I was great, you did an excellent job. the quality and presentation of the product was outstanding and our customers and volunteers were impressed.